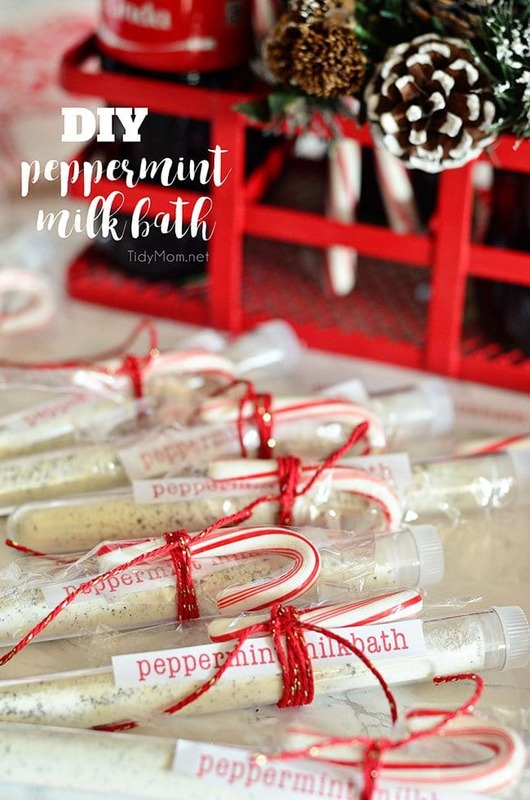 Homemade Peppermint Milk Bath is a an easy, yet luxurious homemade holiday gift or party favor. The milk bath recipe takes just minutes to mix and I’ve included a few packaging ideas + a free printable tag. Be sure to stay to the end of the post! As part of my partnership with Coca-Cola I have a special discount code for you to order personalized #ShareaCoke glass bottles and a chance to win Share a Coke bottles + $100 Visa Card! It’s the most wonderful time of the year! Christmas is by far my favorite season. I enjoy giving gifts even more than receiving them. Getting creative and gifting those who mean so much to us……it’s one of the many reasons I love the holidays! Every Christmas, my sweet sister-in-law is the ninja of snagging all of the hard to find toys for the kids (both big and small). She has this unbelievable skill, drive and little bit of luck at not only finding the hottest gifts that the kids want, but always…..always at the best price as well! For the 30+ years I’ve known her, she spends the days before Thanksgiving plotting out her route, along with hosting Thanksgiving. As soon as the stores open, Linda is out with wish-lists in hand. This year, she was out shopping for close to 24 hours, only stopping for 4 hours to sleep! Somehow, every year with a little magic, every item on her list is marked off. Linda, has been through a lot in the past year, she battled breast cancer, and came out on top! 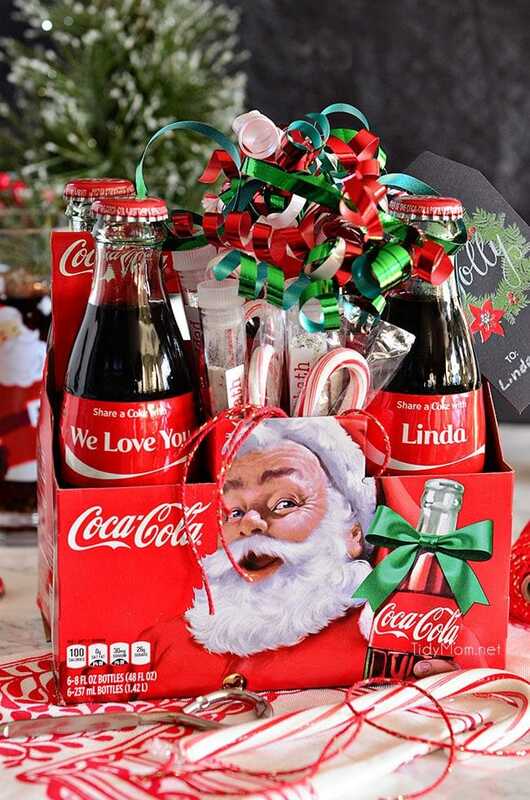 This year, when my friends at Coca-Cola asked if I knew an “un-sung hero” who goes the extra mile to make the holiday’s special, Linda came to mind immediately. I wanted to do something special to show Linda my appreciation for all she does. I’m pretty sure after all that shopping, what could be better than relaxing in a warm peppermint milk bath?! And how about during all that gifting wrapping she has ahead of her? Coca-Cola, of course! Sometimes in the hustle and bustle of the holiday season, it is hard to give out little gifts of appreciation to all those you care about. Personalized glass Coca-Cola bottles from ShareaCoke.com, paired with a heartfelt note or a handmade gift, like peppermint milk bath, make an adorable gift. As we approach winter, I’m already finding that my skin feels dry, and I love to soak and relax in a hot bath. Did you know that Cleopatra claimed that a milk bath preserved her beauty and kept her skin glowing and youthful?! Minimize Aging: milk is rich in vitamins and minerals, which help slow the process of aging and retain skin’s natural elasticity. It turns out that a milk bath is super easy to mix together and makes a nice gift. Homemade milk bath is super easy to make and only requires a few ingredients. 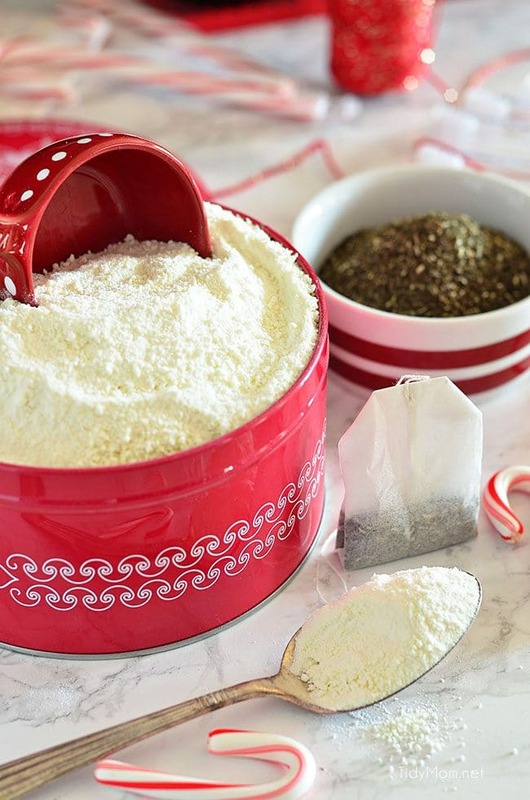 Combine ingredients in a tin or bowl and whisk together until well combined. Store milk bath in a cool dark place in a tin or jar for a day or two to infuse milk with peppermint fragrance. add a few tablespoons or as much as 1 cup of milk bath under hot running water. Lie back and relax. After soaking, drain tub and rinse off in clean water. 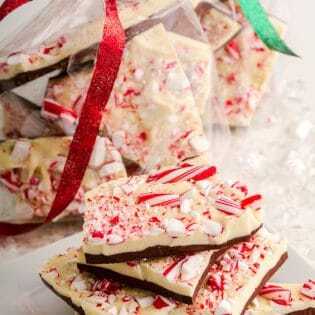 There are so many ways you can gift the peppermint milk bath. 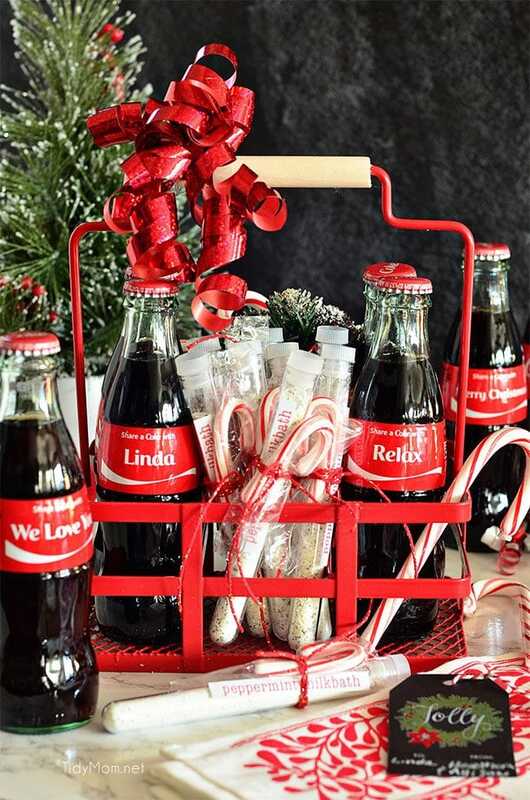 For my sister-in-law I ordered personalized 8-ounce glass bottles of Coca-Cola® with her name, Linda, Relax, We Love You and Merry Christmas. She loves Coca-Cola, and it was a fun way to personalize the gift. I found a cute red carrier to put a few bottles of Coca-Cola and the milk bath tubes, garnished with some greenery and a bow and that was it! In 10 minutes I had a cute gift idea. 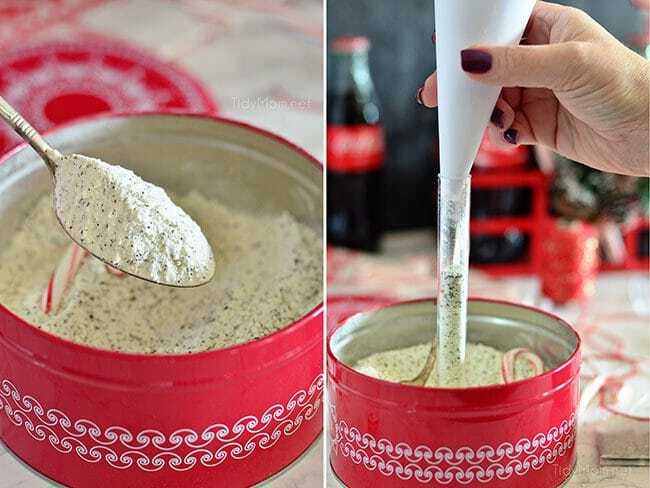 Peppermint Milk Bath also makes a great gift in a pretty tin with an antique spoon. Perfect for Christmas, Hostess Gift, Mother’s Day, Birthday or just because! 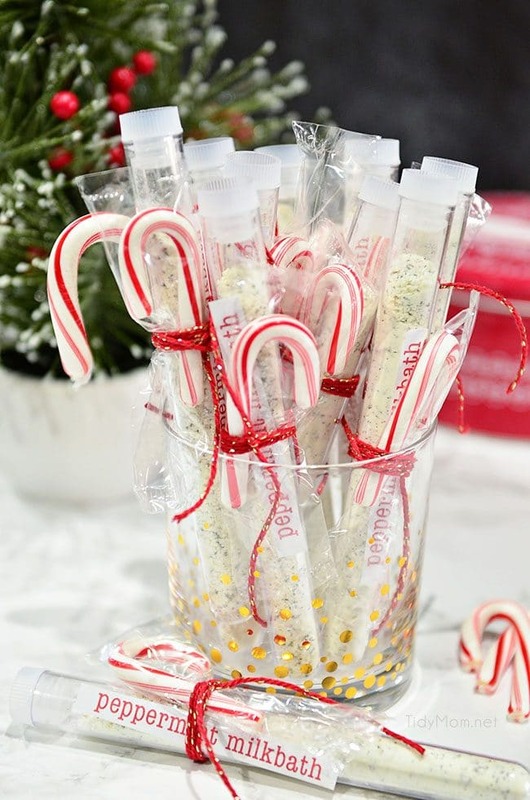 The Peppermint Milk Bath test tubes would make cute party favors too! Give a Share a Coke gift this year! Anything customized is is always more fun! right? Who wouldn’t love their name or special message on a Coke bottle? ? 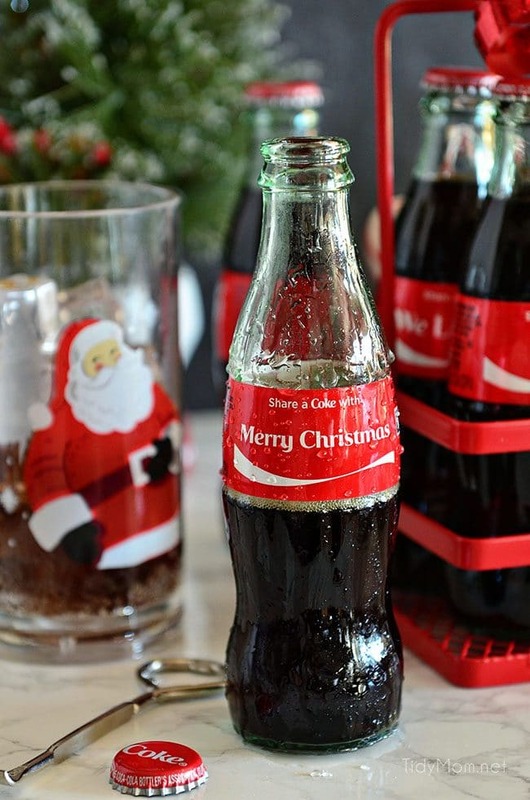 You can order special personalized #ShareaCoke glass bottles for loved ones this holiday season using this special discount code CYBERMONDAY on ShareaCoke.com thru Dec 5, 2016! The PRIZE: One lucky TidyMom reader will be selected at random (from the comments) to win a free Share a Coke six pack and a $100 Visa Gift Card! Giveaway ends on Wednesday, December 14, 2016, at 11:59pm CST. No purchase necessary. One entry per person. Must be 18 years of age or older and a resident of the U.S to enter. One winner will be randomly chosen and will be notified via email within 48 hours of the giveaway close. Winners must respond within 48 hours of receiving the email or a new winner will be chosen. Like this Homemade Milk Bath? Pin It! Disclaimer: This is a sponsored post written by me on behalf of Coca-Cola “Share a Coke for the Holidays” . This prize was provided by The Coca-Cola Company. The Coca-Cola Company is not a sponsor, administrator or connected in any other way with this sweepstakes. All views, opinions and love of Coke are all my own. My boss is amazing. She has been extremely sick and away from the office for several weeks yet made sure that local charities received their donations from us, and that all of the employees received their Christmas gifts and bonuses. No matter how she’s feeling, she puts others first. Could you tell me what brand of whole powdered milk you used? Love this! My mom goes all out at Christmas to make the house so warm and welcome. She hosts Christmas dinner every other year, but she really goes the extra mile to make the house beautiful inside and out each Christmas. My sister, my son, and I all spend the night at their house each Christmas Eve so we can celebrate with them and the festive atmosphere just makes it perfection. I have been searching everywhere for the perfect gift for my mother and mother in law… peppermint milk bath is perfect!!!! My unsung hero would have to be my fiancée, Joshua. He has stepped up to the plate and become the father my children no longer have. He is the first person everyone calls when they need help with something and he will drop whatever he is doing to help them. If he sees someone walking or broke down on the side of the road, he always stops to offer his helping hand or a ride. He learned how to play soccer just to volunteer to be a coach for the local city league for our children, even with bad ankles. He is always putting others before himself. Especially all children. He is all about getting away from the TV and video games and enjoying the great outdoors. He’s such a great role model and every child that has met him never forgets him. Thank you Joshua for just being you!! This is a perfect recipe for my daughter and I. 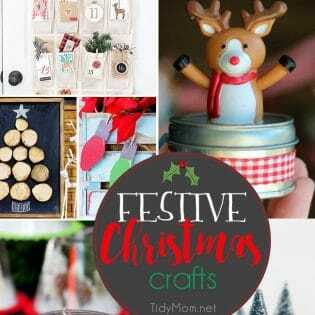 She has been interested in making new bath items and we wanted to make them together for mother/daughter activities that we could do around the holidays and give them as gifts. This is perfect! Thank you so much for sharing! Where do you order your tubes. I love love love this. I would love to recognize my friend Nicole. She is a single mom doing the best that she can. She is raising a sweet, wonderful daughter. I know she struggles at times with stress, worry for her daughter, how to handle her ex, etc. I would love to be able to tell her she is doing a wonderful job! I WOULDLOVE TO RECOGNIZE NY BESTIE EMILY! SHE HAD TO HAVE SURGERY TO REMOVE HER ENTIRE THYROID AND HAS HANDLE IT WITH GRACE. Just wondering if you recommend any particular peppermint tea. Was thinking Celestial Seasons tea but wondering if there is something stronger. I would like to recognize my daughter LaVonne Ruter, who went for a second honeymoon with her husband to Vienna and came home with ovarian cancer in June.. She has been bravely battling this with draining the lymph from her body so that she could breathe, having chemo therapy and surgery while faithfully caring for her family and mate. Thank you for this milk bath idea. I think I will make some for her and for my other friends. My mother is my unsung hero. She hosts Christmas 3 different times throughout the season for the different sides of my family. She does it without any complaints and with grace. I would love to recognize my mom and dad! They have gone above and beyond to help my eight kids and I! Even when money was tight for them they wouldn’t let there grandkids go without! I would love to be able to pay it forward if I won! Thank you! Would love to try this recipe also! That sounds amazing! I’ve never tried preparing things like that before, but this sounds so simple and I bet the result will be quite pleasant, so I guess I will give it a try 🙂 I’ve never tried anything different than simple bath salts before. My teacher friends work so hard all year….this is the perfect gift for a relaxing winter break! Can’t wait to make it this weekend.